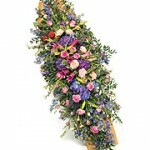 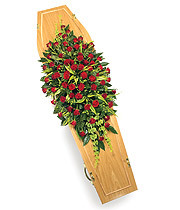 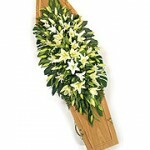 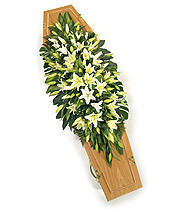 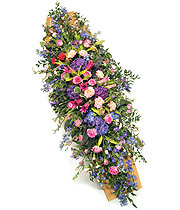 The centrepiece of the funeral, which will be viewed by those attending, can be as dramatic or subtle as you wish. 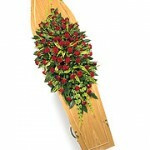 The Centrepiece of the funeral, which will be viewed by those attending, can be as dramatic or subtle as you wish. 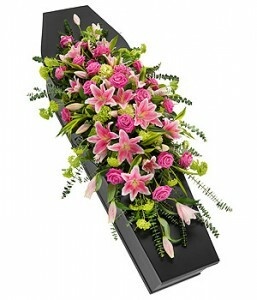 Favourite flowers or colours of the deceased can be incorporated into the Centrepiece as a personal final touch…Prices start from £100.